With almost 1.8 billion active monthly users of Facebook as at the second quarter of 2016, no one can afford to ignore the phenomenon. Anyone who chooses can now enjoy the right to publish on social media. The corresponding obligation however must surely be moderation and civility. Not to mention conformity with the law. We confirm that a person was indeed moved from the Roy Fagan Centre yesterday due to threats made against him on social media. That move was “forced” upon the Government, notwithstanding the fact that the Roy Fagan Centre was approved for use as a hospital or institution for the purposes of the Corrections Act 1997 (Tas). At about the same time, on the ABC’s television program, The Gruen Transfer, a video was screened which had as its aim a demonstration of how a community would look if its citizens spoke to each other in person in the way many people now do by way of comment on Facebook. The video graphically achieved its aim, showing what a different and dysfunctional community we would be if we used the same offensive and insulting language in ordinary life exchanges that sections of the social media community appear so readily prepared to use in communicating with each other and commenting online. We need to kill a family member of one of these germs we call judges. Then we might get some sort of decent sentences for people who take a life. I’m so sick of it. Lowlife untouchable parasites have no idea, only considering rehabilitation for a person who should understand a life for a life. Pathetic … About to take a stand … Look out here we come. There are some things that need to be said about this beyond the obvious, and there are some laws that people who are moved to make extreme comments on social media should understand. Section 298 of the Criminal Code (Tas) makes it an offence punishable by a maximum of 21 years imprisonment to incite another person to commit a crime. Section 474.17 of the Criminal Code (Cth) makes it an offence punishable by a maximum of three years imprisonment to use a carriage service in a way that the content of a communication would be regarded by reasonable persons in all the circumstances to be offensive. Equally as important however, while many people are aware that it is potentially a contempt of court punishable by imprisonment to make prejudicial comments about matters that are currently before a court, it appears that many people do not understand that a matter is still before the court after a person has been sentenced and during the ensuing appeal period. Judges must be able to accommodate affronts to integrity and must at least be prepared to accept public criticism, because they are afforded judicial power and they remain responsible to the community for their decisions. However, as in all other aspects of life, social media comment should be restrained by civility, and if it is not then those posting on Facebook and other similar platforms will be subject to the criminal law. This is abundantly clear from the Commonwealth Criminal Code which speaks of what reasonable persons would consider to be offensive. That is a relatively low threshold for rendering comment illegal. It should also be remembered by social media users that sentencing is a difficult and complex task. People are not all going to agree about a particular penalty imposed on an individual, which makes it all the more necessary for comments to be expressed legally in an inoffensive way. All criminal penalties are of course set by Parliament. Courts do not set maximum or minimum penalties. Many outraged Facebook users should therefore often reserve their anger for the government of the day. (c) impose sentences that denounce the conduct of offenders. The specified purposes also include the promotion of public understanding of sentencing practices and procedures and the recognition of the interests of victims of offences. The difficult task confronting judicial officers in balancing those competing purposes of deterrence, denunciation and rehabilitation needs to be grasped by those using social media before they resort to blaming judges personally. Except in the rarest of cases there is simply no justification for so doing. Facebook users must also understand, and it appears that they often do not, that courts are open to the public. Any weekday anyone can come and hear the facts being stated, the plea for leniency being made by or on behalf of the defendant, and the sentences being handed down by the judges. 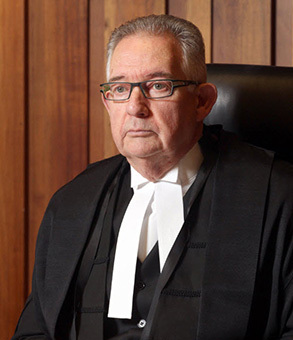 Anyone can sit and listen to what judges are told about particular people and what is said by way of comment on passing sentence in full, rather than read and react to an edited and, all too often, editorialised version of the material presented to the court. In this regard, in Tasmania as in other States, in most cases every word a judge says on passing every sentence on every offender is transcribed and posted online on the Supreme Court website and can be read, again, in full for a period of time. There is also an underlying paradox in much of the often vile posts on Facebook commenting on the asserted, egregious leniency of judges in sentencing criminals. In April 2010, Prof Kate Warner AC, then Dean of the Law Faculty at the University of Tasmania, and now this State’s Governor, published the results of a two-year sentencing survey of jury members in 162 criminal trials in which verdicts of guilty had been returned. The study found that 90% of jurors were satisfied with the judge’s sentence and half of those were very satisfied with it. The result indicates that when jurors are aware of the complexities of a case and the judge’s reasons for imposing sentence, the majority will agree with the sentence imposed by the judge. Judges of our Supreme Court have since conducted public sentencing workshops in Hobart, Launceston and Burnie, the latest being in 2015. These workshops reveal that the findings of Prof Warner’s survey remain valid, as a majority of the members of the public who participated in the workshops would have imposed a more lenient sentence than the judges did in the hypothetical cases acted out. The difficulty for the Australian judiciary is in conveying these messages to a wider section of the community. Until that happens it can be anticipated that extreme adverse comment will continue on social media, and judges will need to rely on State and federal police for protection against threats to themselves and their families. In turn police forces will need to be increasingly more familiar with the offences that are committed by those making such threats and offensive comments. With Facebook having commenced in 2004 and its predecessor, Myspace, the year before in 2003, one would have thought that the law would by now have been more richly developed in Australia as to the use and misuse of social media. Surprisingly it is not, and equally surprisingly the best source of judicial consideration of Facebook is not the United States, but Canada.